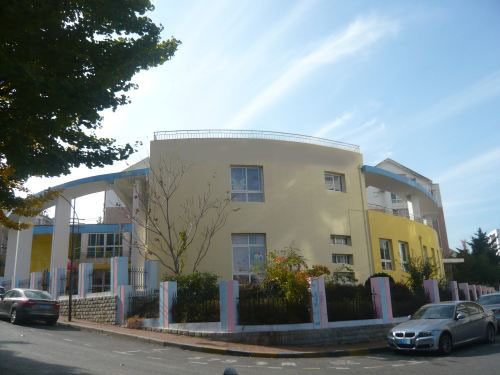 Dalian ELFA Lanting Shanshui Preschool is located within the Lanting Shanshui Estate in Lianshan Street, Shahekou District of Dalian. It is located within the Heping Square Commercial Belt and covers a land area of 2000 square metres with 1500 square metres of total floor area. Readily available facilities, various amenities and unique gardening landscapes offer a superior living environment for social elites. The ELFA Preschool adopted an elegant European interior style and high-grade facilities to create an warm and cordial environment. It equips with integrated classrooms, dance studios, creative art rooms, children music rooms, Blocks “n” Building Play rooms and multi-function classrooms. The top-grade playing facilities are safe and enviroment-friendly. Dalian ELFA Lanting Shanshui Preschool offers 8 classes in nursery, junior, middle and senior pre-school levels and ELFA 0-3 Fun Child Early Childhood classes.